Customer purchased a polished metal emblem of his favorite baseball team and wanted it mounted on a plaque. 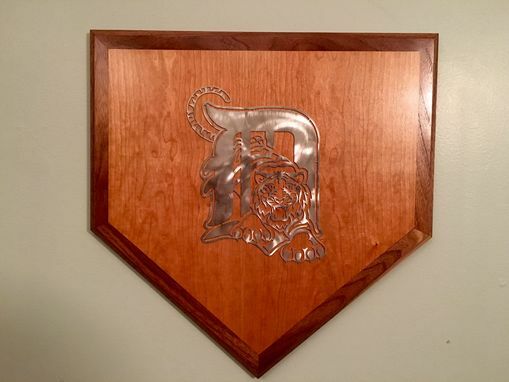 A design in the shape of home plate was agreed on; construction consisted of cherry plywood banded with walnut. Several coats of a satin polyurethane were applied before mounting the metal emblem with epoxy.